In recent weeks The Active Amputee has engaged in a number of - partly new and - exciting collaborations. As you all know I set up The Active Amputee to provide information, to share inspiration and to create a community. And these last weeks have been amazing in terms of creating a community and creating new collaborations with people far and wide. Here is just a quick run down of all the new relationships I am so excited about. Let’s start with the newest joint venture - that builds on one of my longest amputee relationships. The always amazing Adenike Oyetunde from Amputees United recently started a weekly twitter chat, interviewing amputees from a variety of background. Each Friday night there is a new episode. And I feel honoured to have been Adenike’s guest on Friday, August 3, 2018. If you missed it but would like to have a look at the interview, here is the link to the Twitter thread. The Active Amputee is now listed as a trusted resource on U-Exist’s homepage. And - a little sneak preview for things to come - U-Exist and I have more plans in the making. Both, on The Active Amputee as well as on the U-Exist page. More on that in mid of September. I was recently featured on Hike The World, a new blog celebrating the magic of hiking and building a community of outdoor enthusiasts. And - as with U-Exist - there is more in the making. So watch this space. My well established contact with PACE Rehab combined with my passion for hiking and the fact that I hardly leave the house without a camera put me on the poster of PACE’s 2018 conference „Beyond the Clinic Room“ that will be held in London in late September. A collaboration with Megan Ogley, a young and aspiring photographer, resulted in the stunning exhibition: Capability, focussing on amputees. Regular readers of my blog know that I have been collaborating with yoocan for some time now. Articles that were originally published on the yoocan page are re-posted on The Active Amputee in order to reach out to an even wider audience. Post by Bjoern Eser. 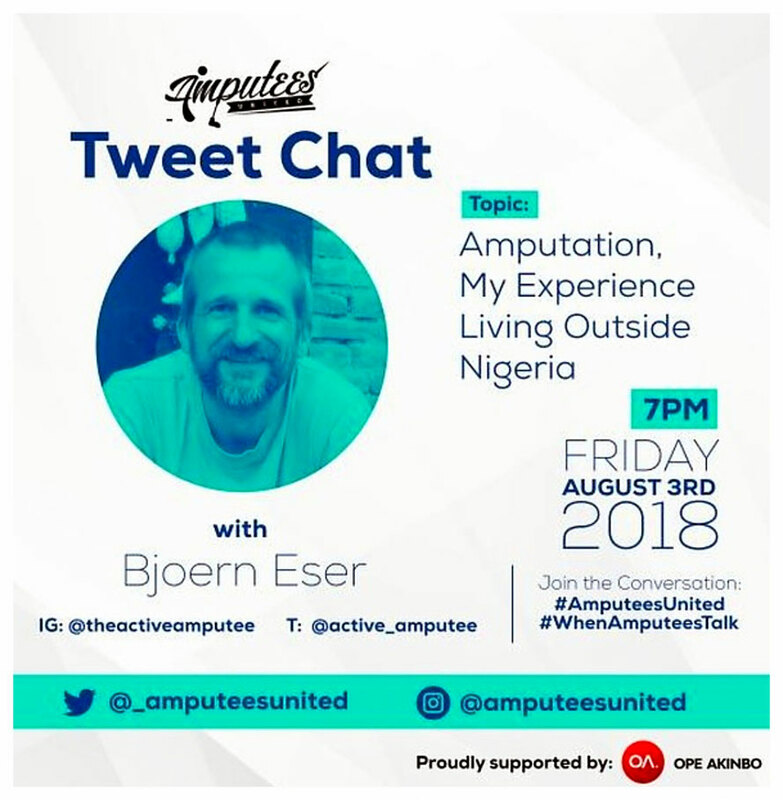 Bjoern is the founder of The Active Amputee.